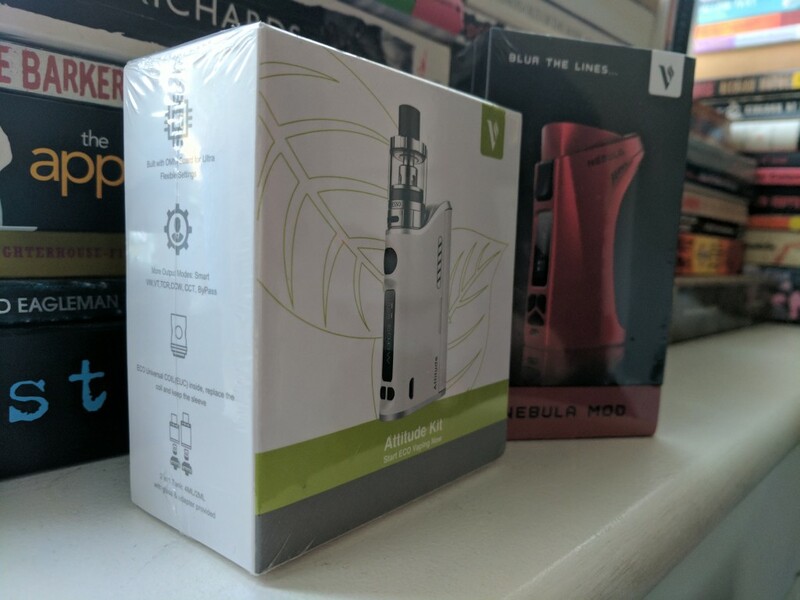 Vaporesso Attitude Kit Review: My New Favourite Vape Setup! Vaporesso Attitude pretty much blew my socks off. I didn’t expect much from the mod itself when I unboxed it, if I’m honest. It’s fairly unassuming, looking very much like your standard starter kit. But it is SO MUCH more than this, as I found out during my three week testing period. For the longest time I have been a loyal Wismec Reuleaux RX200S user. And before that I used the Reuleaux RX200. I loved these mods. My tank of choice was the SMOK TFV8, AKA the cloud beast. But the Vaporesso Attitude has replaced both – and I definitely did not see that coming. I have to take my hat off to Vaporesso. What they’ve come up with here is very impressive. This mod is fantastic but the best part of it, save for ALL the stuff you can do with the OMNI Board, the tank and coil system. The EUC coils are, in my opinion, the best pre-made sub-ohm coils in the business. Nothing else I have tested even comes close for flavour and longevity – they just keep on going and going and going. My record is two weeks (and I vape a lot). No other coil system has impressed me this much. In fact, if I had to cast my vote now I would vote for Vaporesso for Vaping Brand of the Year 2017. Their mods are brilliant, diverse and packed full of features. They’re priced brilliantly and they’re all put together with such care and attention that any mod in its range will last you as long as you care to keep it around. I honestly haven’t been this impressed, as you can probably tell, by a starter kit for a good long while. Brilliant stuff, Vaporesso. Truly exceptional. Right. Let’s delve down into what makes this mod and tank combo so damn good. 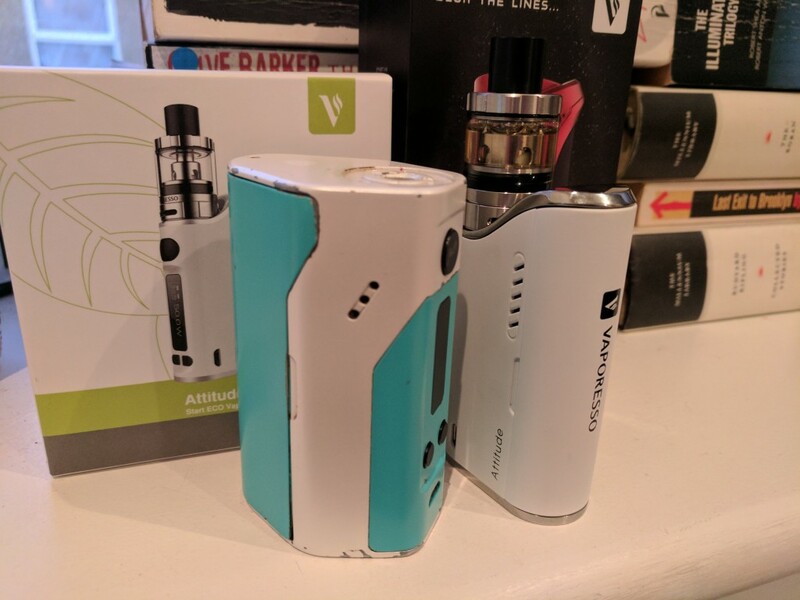 After using Reuleaux RX200 for almost 18 months, switching to the Vaporesso Attitude felt like switching from an SUV to a coupe. The size difference between these mods is pretty huge; the Reuleaux takes three cells, while the Attitude runs off one. At first I wasn’t sure about this; I like my mods chunky. But after a day or so I acclimatised and the design of the Vaporesso Attitude started to grow on me. My review unit is the white version and I think it looks really smart. The machining and build materials are spot on and everything feels nice and premium. The OLED display, which produces void-like blacks, jazzes really nicely with the black keys that adorn its front. The battery door, which is accessed on the left hand side of the device, snaps off easily enough but is also held securely in place when in use by powerful magnets. Like, really powerful magnets that actually hurt if you get your pinky trapped when closing it! The mod itself is pretty compact; it doesn’t take up much room in your pocket or hand. 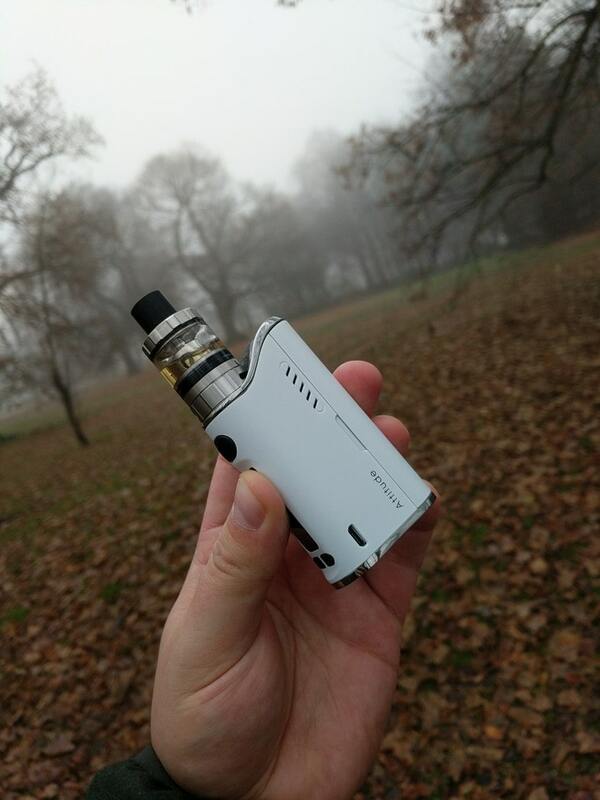 For this reason, I would say the Vaporesso Attitude is a great mod for a beginner, as it’s simple to use and not too big. This is not a slight on its capabilities, though… the Vaporesso Attitude is one hell of a mod and, thanks to Vaporesso’s amazing OMNI board, it is one of the most feature-packed mods on market right now. Do not be fooled by its cute exterior. This mod can go toe-to-toe with the best of them! The main event inside the Vaporesso Attitude is its OMNI Board chipset; this is the brains inside the mod and the reason it can do so much cool stuff. We’ve already discussed the OMNI board and all its awesomeness in our Vaporesso Tarot Pro Review. As you can see, whatever style of vaping you plan on doing, the OMNI board has you covered. Like the DNA 200 chipset from EVOLV, the OMNI board is all about choice and customisation. 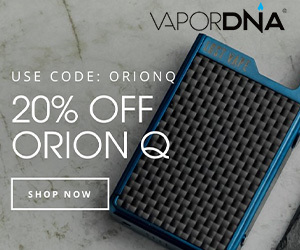 But unlike DNA 200 mods, you DO NOT have to pay hundreds of dollars for the privilege. The Vaporesso Attitude retails for just $49.99. As I said above, you can run the Vaporesso Attitude in in six, total output modes, which gives you an enormous degree of control over your vaping experience. In my time with it I have ran it in all modes, and it performed brilliantly. I tend to stick with wattage mode, mostly, as this is what I am most comfortable with. You might be different. You might want to run it as a mech-mod; and with the Attitude, you can. It also does TC and a variety of other modes, which I noted above. Put curtly: the OMNI Board is a supremely complex and highly innovative vape chipset. Accuracy is spot on, as are the safety features and on-display reporting. My 2016 was dominated by Wismec Reuleaux Mods, but I think this year I will be all about Vaporesso. From the moment I unboxed it, everything just flowed right and worked intuitively. 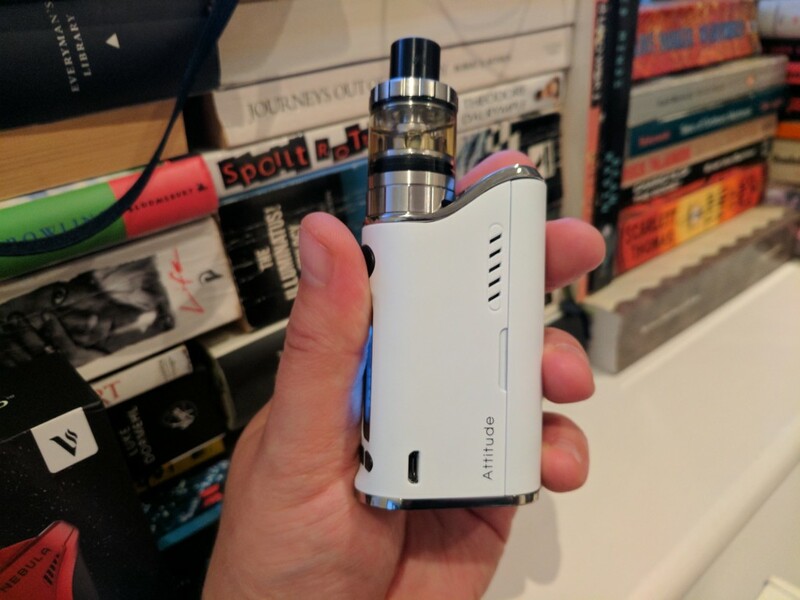 The Estoc Tank, which comes as part of the Vaporesso Attitude kit, at first glance, looks a bit dull and uninteresting. But do not let this fool you, this sub-ohm tank is a solid setup that is great with juice and flavour and clouds. I’ll talk more about this aspect later, though. Overall, performance on this little mod is superb. It reminds me of a coupe; it’s small, compact, well-engineered, fun to use and super potent when you need it to be. The last time I was this impressed by a mod it was way back in 2015 with the Reuleaux RX200. OK, I mentioned the Estoc Tank briefly above. But now I want to go into more detail. First and foremost, this tank is great. I haven’t used my SMOK TFV8 once since getting the Attitude back in December. What makes it so great? Quite a few things, if I’m honest. But these are the three main points that I love about it. You can use it in 2ml or 4ml – ideal if you’re trying to cut down. 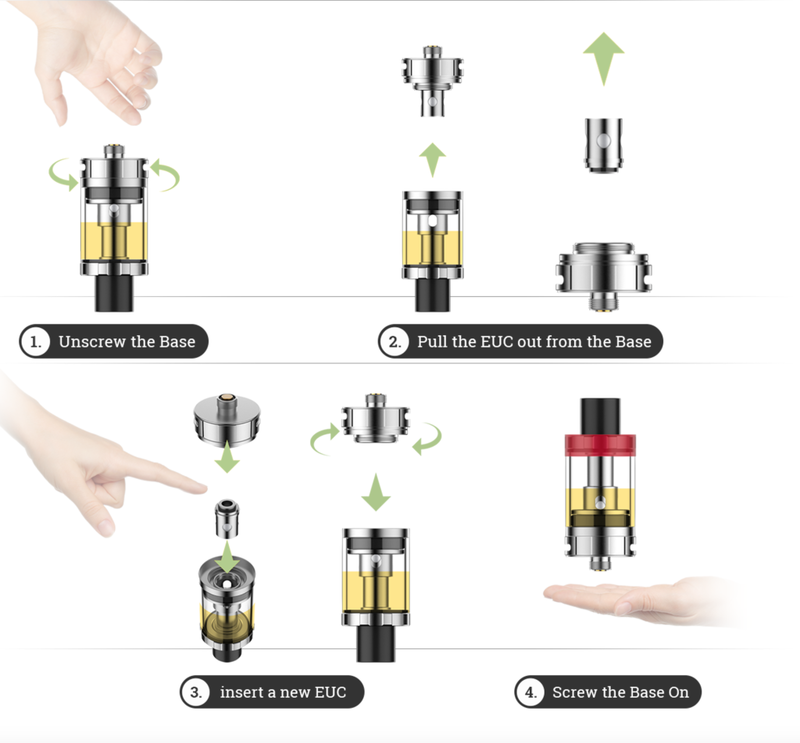 The ECO coils last an ETERNITY and, when you do need to change them, it takes all of three seconds, thanks to Vaporesso’s awesome universal ECO coil system. Simply unscrew the bottom of the tank, pop out the old coil and put the new one in. That’s it – it takes roughly 20 seconds. There’s no screwing, no leaking and no mess. For me, this is just another big USP for the Vaporesso Attitude kit. What makes these coils so good? To be honest with you, I have no idea. But I have never had a single last as long as Vaporesso’s ECO coils do and, because they’re ceramic, flavour is off the charts. Way better than the SMOK TFV8. But what makes this coils really impressive is how you switch them out: you only replace the core of the atomizer (this is called the EUC) by dropping it in and out of the casing which, as you can see in the video below, makes coil changes super simple. What most impressed me about the EUC system, however, is just how long each individual coil lasted. I vape pretty much all day long and I am consistently getting weeks of use from a single coil. I know, I know – that sounds like witchcraft. But it really isn’t. These are the best pre-made coils I have ever used. Period. I thought the SMOK TFV8 coils were decent, but Vaporesso’s EUC blows them out of the water for flavour and durability. If you’re after a vape setup that will save you cash on coils, you really do need to be looking at EUC seriously in 2016. My kit came with 10, it shipped to me in late November, and so far I have only used five coils, which kind of speaks for itself really. This tank might not be ideal for those that like to build their own coils, but for the average vaper this system is pretty much unparalleled right now. The Vaporesso Attitude takes a single battery cell, which isn’t all that common these days in a world full of devices that take three and, in some cases, four cells. But this shouldn’t concern you too much. Battery performance, providing you use decent cells, is moderate to good. With heavy vaping you’ll get a solid day’s worth of use from a single, fully-charged battery. I ran the Attitude at 50W, on average, and used new cells when testing. The longest it did go on a single run was 1.5 days, but that was with very moderate use. Long as you keep a spare cell with you, you shouldn’t have any issues with the Vaporesso Attitude. 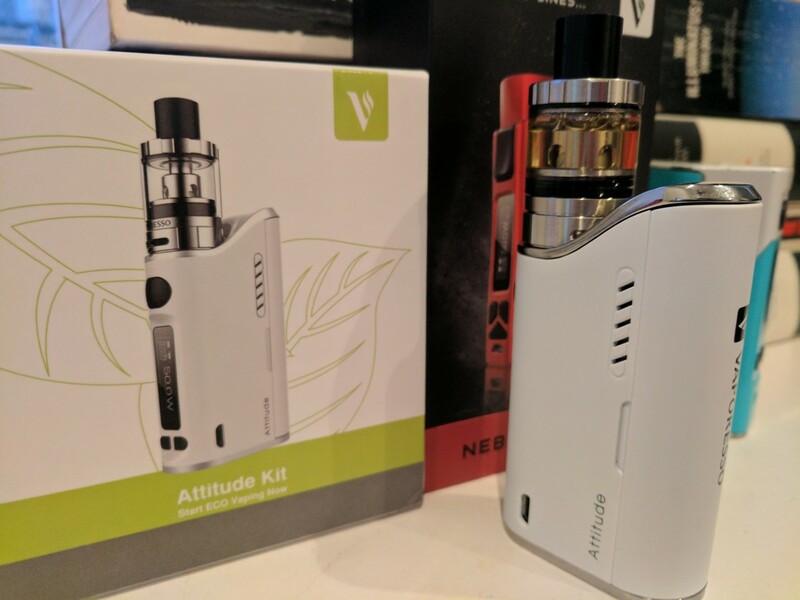 The Vaporesso Attitude is one heck of a kit. Not only does it look stunning and feature one of the best and most innovative tanks on the market right now, it also packs in Vaporesso’s impressive OMNI Board which gives you an incredible amount of control over your vaping style and, therefore, your overall experience. 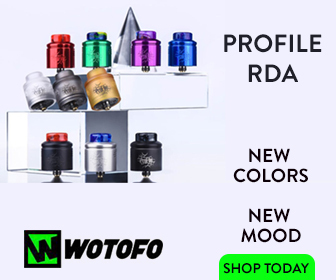 If you’re looking for a smart, compact mod and tank combo that is cost effective and superbly powerful, as well as being clever and having one of the best coil systems I have ever encountered. CHECK THIS MOD OUT. Like, right now.